As the market increasingly becomes aware of the use of building lime for historic masonry restoration there will always be challenges in making sure everyone understands the decisions they are making, why, and most importantly, the materials they are working with. Take lime for instance, everyone seems to believe that going back to the old mixes of yesteryear is a better choice than that found in Isle 14 at the local Home Depot when it comes to mortar selection for historic masonry structures. But just knowing about a subject and really understanding a subject are two entirely different things. The product of lime is pretty basic. You have lime putty, purchased wet (Philadelphia cream cheese consistency) in a bucket or barrel, and you have dry hydrate lime purchased in a 50lbs. (fifty pound) bags (fluffy and very light weight). Common cement/lime mortar mix formulations in the restoration industry center around 1:1:6; 1:2:9; and 1:3:12 (Type N, O, and K respectively- ASTM C270-10, proportion specification). The second numeral reflects the amount of lime to be added to the formulation to create the desired mortar and thus the characteristics of that mortar. Generally, a mortar with more lime will tend to have better workability, higher flexural bond and more autogenious healing properties than a mortar with less. If its compressive strength your after than 1:1:6 is your answer, if you are looking for the flexibility to accommodate for future movement than you will likely be happy with a 1:2:9 or 1:3:12 formula. And then of course there is the historic straight 1:2.5 lime-sand mortar almost always made with lime putty and not dry hydrate lime, let me explain one of the reasons why. Lime, like portland cement, is measured as a dry powder when mixing individual ingredients at the job site. Small batches of mortar are mixed from opened bags using a coffee can or some other used drinking cup (seven-eleven big gulp cup works good) up to a five gallon bucket depending of the project needs. But here’s the real scoop – Dry hydrate lime experiences a significant volumetric loss when converted to a wet paste during mixing. Let me say that again, Dry hydrate lime experiences a significant volumetric loss when converted to a wet paste during mixing. Volume changes that occur when dry hydrated lime is converted to a wet paste can cause sizable errors in proportioning mortar formulations; the most likely error is over-sanding. A given amount of hydrated lime occupies far more volume as a dry powder than it does after mixing with water. Thus, when lime is measured as a dry powder, less is actually put into the mixture than is used if the lime is measured as putty. When wetted, dry hydrate lime will typically contract, on average, to 75% of the original dry volume. Using a nominal 1:2:9 mixture (Type O) cement/lime/sand, the variation caused by wet verses dry measure of the lime results in a 1:1.5:9 mixture. This ratio exceeds the allowable sand content in ASTM C270 of 2.5 to 3 times the binder, and is actually 3.6 times the cement plus lime; thus an unintended over-sanded mixture results. To avoid this problem an additional amount of dry hydrate lime (25%) must be added to all formulations during the proportioning stage, or just use lime putty. Note: Portland cement does not experience this volumetric loss when converted to a wet paste during mixing. This entry was posted on October 11, 2011, 9:37 am and is filed under Mortar. You can follow any responses to this entry through RSS 2.0. You can leave a response, or trackback from your own site. I would not be inclined to use a 1:3:12 mix as you mention. There have been several studies that have found if the portland cement volume is less than 1/2 of the lime, its usage prevents the lime from contributing as a binder in the mortar. These findings were published in a book Building With Lime by Wingate & Holmes along with other publications. Thank You – always wondered why the difference in callouts for lime putty vs hydrated lime. So logically if I add the 25% more lime to dry mix I don’t need to premix a lime putty the night before. Correct? Thanks for drawing attention to this. I’m about to start some first-time re-pointing and rendering and you have clarified an important aspect of the recipes I’ve seen. It also explains why my first attempt to mix a lime-sand mortar 1:3 ratio dry was indeed too sandy. Minor quibble: You stated that the dry lime volume reduced to 75% of the volume as putty, so you need to add 25% more dry lime at the start. Am I out-smarting myself if I suggest that we instead need an additional 33% dry lime to get the correct volume of putty? My reasoning is, you are starting with 3/4 of the lime putty required and so would need to add another third of that starting volume to get back to the 100% volume of putty you want, i.e. you need 133 units of dry lime to get 100 units of lime putty. That would make a 1:3 putty-sand mix a 4:9 dry lime-sand mix. shouldn’t you just measure by weight, not by volume? Sure, but job sites do not typically have scales. Hydraulic lime is different than hydrated lime I am discussing in this article. While both are hydrate the hydraulic lime has setting characteristics that enable it to set upon the addition of water. 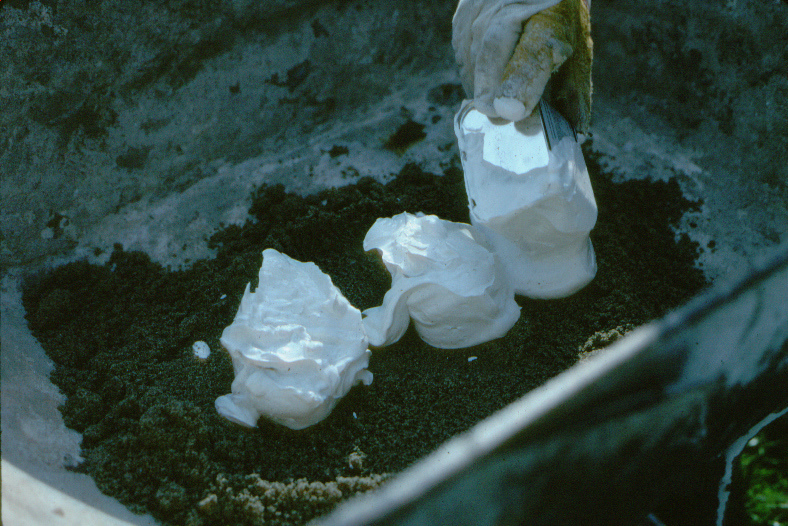 Hydrated lime must be hardened by the absorption of carbon dioxide from the atmosphere and thus often requires the addition of a pozzolan of clay to assist the setting time.